It’s November already and before we know it we will be flying into 2017. The last few months have been a little challenging with all sorts of new projects and ideas slowly coming together.We have some new accessories and the long awaited launch of Stealth kayaks in New Zealand.Some samples for a few new potential dealers are on their way. 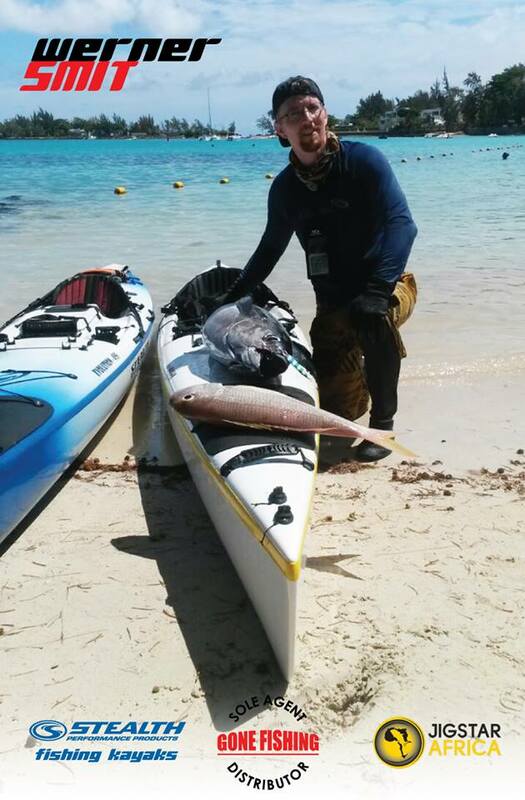 Some early season game fish have been popping up and some fine catches of yellowfin tuna recorded. The Sea has finally started to settle after 2 months of wind and coastal rain which has not been the most pleasant of conditions to go out and enjoy your fishing. The Cape boys have been joining in the fun and i have seen lots of great catches from the cold waters with recently some great pics of cape yellow tail. Lets hope the weather continues to improve and with all the coastal rain we have been having the signs are their that we could potentially have one of our better fishing seasons in comparism to the last few year. After a long period and at times so some painful progress we are excited to say that Stealth Kayaks NZ is now operational.The First stock arrived safely around 20th of October and sales have been great.Ryan has done some personal demo’s and customers testing the various kayaks. Our website has not been updated on all the stock movements as yet but i am sure if you drop an email to ryan@stealthkayaks.co.nz he will update you promptly or you could also follow or Facebook page for weekly stock updates, information, demo days and general Stealth New Zealand news. We are in the final stages of packing and getting ready to send the latest container to Dennis,so if you want a shiny new Christmas present the time would be now to get your orders in. Recently the long awaited container and stock arrived in the USA and a small shipment of kayaks has been transferred to Florida. 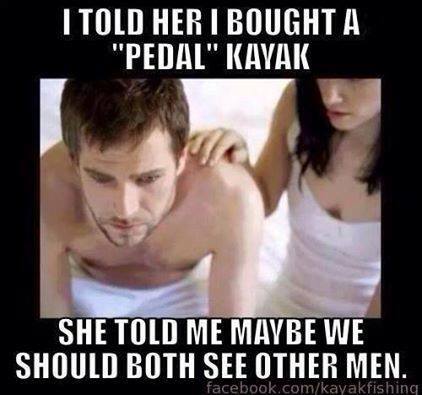 This will make some kayaks more readily available in the Florida area with our man on the ground there ready to assist you and get you on the water in your shiny new Stealth. Contact Fred York for more info,pictures or any questions you might have. Planning and organizing is in full swing.I have been away travelling for the last few weeks but back into it all and getting on top of it.I will be sending out a newsletter for more vent information directly to all confirmed entrants.That is for the ones all paid up and ready to go. On that note we have a few entries still available there has been a few spots booked but no payments received so i am making those last 5- 6 entries available to the first paid up and confirmed anglers. Recently we did a video on our very popular live bait torpedo and how it works. Our product of the month is the new live bait mate. The live bait mate is an exciting new accessory. Made from heavy duty PVC and fibreglass components this neat little invention is easily collapsible and can be folded up and put away without taking up too much space. 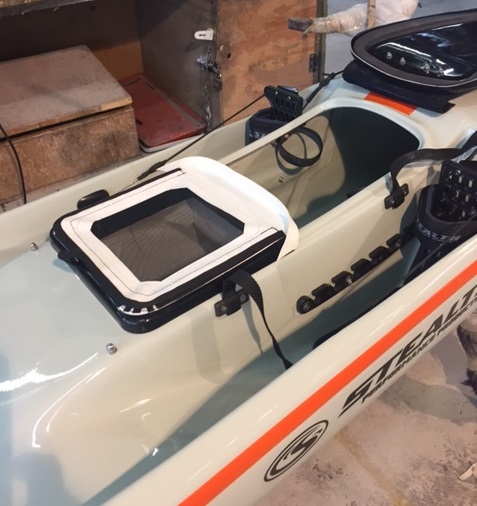 The LBM was cleverly designed to fit onto your existing hatch frame and is removable and collapsible.The design takes into account the space needed for a live bait to be able to swim around and the ability to be able to add “fresh” water to it without flooding into the hatch.The mesh top allows easy water changes and the splash strip diverts water into the foot wells where the self drainers will work to get rid of the overflow.If you like me and prefer a smaller volume of water the LBM has a pouch where you can slip in a aerator pump and then aerate the water to keep the bait alive. I will be doing a full demonstration video on the LBM in the next few weeks. Congrats to Werner Smit for his 43.25 lbs (19.6 kg) big eye tuna caught this weekend off his brand new Stealth Fisha 500 on slow pitch jigs from JigStar Africa.This is a pending record off the island of Mauritius. It is the Christmas and summer rush going into full swing now so make sure you plan ahead and get your orders in early so as to avoid possible dissapointment. 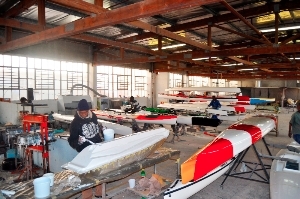 Some of the kayak molds are already backing up with orders. And some of the new products and accessories are already in high demand.